We believe that incarceration rates in the United States are too high. In the United States, 500 per 100,000 people are incarcerated compared to 100 per 100,000 in the rest of the world. Within that statistic, one in three black males is expected to go to jail in their lifetime and that compares to one in seventeen white males. Also, nearly a third of all female prisoners worldwide are incarcerated in the United States. Minority disparity, public funding of prisons, mental health of prisoners, and racial oppression are some of the things that are wrong with the country’s prison system. We put people in state prison for mere drug possession, petty property crimes, and other victimless crimes alongside the violent criminals. We need to try to keep people out of prison and not put them in prison. Also, while people are in prison, they should be able to learn how to adapt to the real world when they get out and also receive an education for themselves. A lot of the people in prison come from a low class society and do not have the privilege to know how to hold a job or get an education.This could teach them to earn their way properly and also could prevent recidivism. 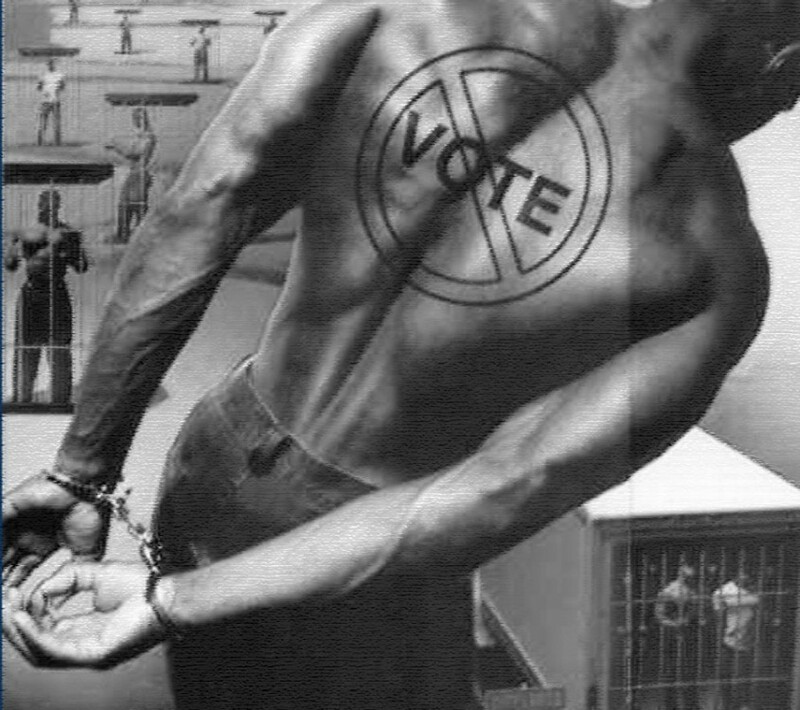 We believe ex-offenders should have the ability to vote. Without the ability to vote, these citizens are left out of a big part of our population that are being under represented. Without their representation, the U.S., will continue to be the highest in incarceration rates. We also believe it would be beneficial to criminals, ex-convicts, states, and society as a whole if the legal system works to create behavior improvement programs and teaching programs. Some of these programs can help rule out people who have mental disorders and may commit crimes as a result of their compromised mental state, for which they should get proper treatment, not a prison sentence. All inmates face so many obstacles once they are released but minorities face even more obstacles that are systematically difficult to overcome. We advocate for lower incarceration rate, for the minorities, for women incarcerated, the mentally ill, and anyone who has been mistreated in this country of inmates…. This is a clip of Thom Hartmann debateing Horace Cooper, Attorney/Conservative Commentator & Senior Fellow-National Center for Public Policy Research over restoring voting rights to felons. In the open of the debate Hartmann explains that U.S. Attorney General Eric Holder released a statement support of restoring voting rights to felons. Holder pointed out in the statement that some states such as Kentucky and Virginia as many as one in five black adults have lost their right to vote as a result of a convection. The Attorney General also makes the point that the laws preventing not only suppresses the voice of minorities, it also does not serve any purpose except to perpetuate the stigma imposed on formerly incarcerated persons. Cooper who is African-American and conservative disagrees with Holder’s assessment and the move to restore voting rights to felons. Cooper says Holder’s assessment is “divisive” and “intended to create a false impression that the criminal justice system actually singles out minorities.” Cooper’s justification is that if “we put aside the so cold war on drug,” saying there is a race problem with felons not voting would be to say that the Police intentionally ignore other felony crimes such as robbery, breaking and entering, etc….that are committed by white Americans. The trouble with Cooper’s argument is in thinking that we can “put aside the so cold war on drugs.” How can we put aside the war on drugs when that is the main contributor of why American prisons and jails are over capacity and the U.S. is responsible for 25% of prisoners in the world. The war on drugs which was issued in 1982 by President Ronald Reagan resulted in a massive inmate population increase. This “war on drugs” mainly targeted poor and predominately African-American neighborhoods and resulted with a shockingly disproportionate number of African-American men behind bars…specially compared to white Americans. Drug charges are counted as felony and as a result a massive percentage of the American-American community lost its voice when those felony convictions led to the loss of the right to vote. So one must wonder how Cooper plans to just put aside the consequences of the war on drugs and the disproportionate amount of minorities in prison when discussing restoring voting rights and the role of race. How do we justify the fact that some states have 1 in 5 black adults who have lost the right to vote and have been relegated to second-class citizens even after serving their time? There is really not any way to put the correlation between incarceration rates, race, and basic civil rights aside. Two weeks ago, I posted a response to lawmakers and citizens who think that prisoners shouldn’t be given the chance to further their education while they serve time in jail. These people seem to think that prisoners do not deserve such opportunities to rehabilitate themselves at the expense of the taxpayer, using the label “criminals” as if it speaks to an inherent character trait of prisoners and ex-cons. This argument struck a nerve with me because it highlights one of the fundamental problems with America’s system of mass incarceration: It creates a class of people—predominantly nonwhite and working class—who are seen as tainted and inferior by the rest of society. Such discrimination extends to the idea that former prisoners are unworthy of basic equal treatment under the law. Regardless of the circumstances surrounding their incarceration, ex-felons in many states lose basic civil rights forever, such as voting for the government that is supposed to represent them. Even those who serve time for misdemeanors, or who are simply arrested but never jailed, are unable to shake the stigma thanks to public databases accessible to employers and others. Because former prisoners are overwhelmingly low-income minorities, this just feeds back into the cycle of economic and social deprivation that contributes to the prison system in the first place. Outsized punishments for drug-related offenses are also a key factor in the cycle that keeps underserved minority communities from being able to move forward. The “war on drugs” has turned out to just be a systematic war on poor communities of color, where people are branded with criminal sentences, and then legally discriminated against for the rest of their lives. Alexander speaks to the stigma against prisoners in general, and the idea that they invariably, universally “deserve” this punishing fate, regardless of any other factors. “Those who are targeted and who find themselves behind bars are blamed, and said, ‘Well, it’s your fault. You brought all of this on yourself.”‘ This social mindset is coupled with a pervasive belief in the moral high-standing of law enforcement, despite the outrageous amount of corruption being uncovered in police departments. Clearly, turning our justice system from an ineffective, punitive establishment into a fair, redemptive, useful system is going to take a deep examination of our national psychology. Because right now, whether consciously or not, we delegate humanity as if it’s a privilege, granting less of it to poor people of color, especially those with a criminal record. P.S. 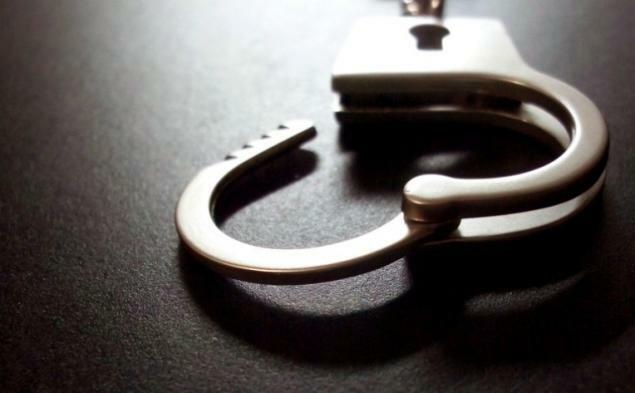 Earlier this month, Virginia followed the example of several other states by making it illegal for state government employers to ask job applicants about their criminal history. It’s not much, but it’s an example of the kinds of things we need to do across the board. It’s crazy to think that we have such a small percentage of the world’s population, but such a large percentage of the world’s prisoners. Are we really the land of the free?? I found the comments section of this article particularly interesting. People bot black and white appear to be divided about the initiative to decreases mass incarceration. All of this in spite of all the economic and social evidence that shows the dysfunctional system of mass incarceration. Can’t believe this statistic!!!! Never knew so many women were incarcerated in the United States more so then anywhere else in the world. Check out this website and the picture below! What kind of country do we live in that we have the most incarcerated individuals, the most females incarcerated, and majority of the prisoners are of color. Mind-blowing! !